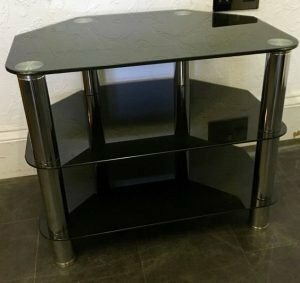 A black glass and chrome three tier corner television unit. 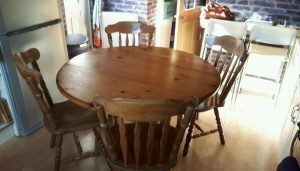 A solid pine large circular dining table, together with four matching high back dining chairs. 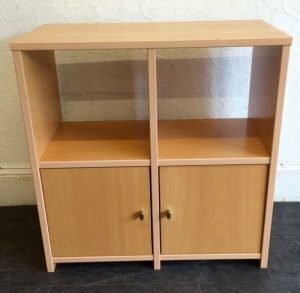 A solid pine cube wall unit, having two shelving areas above two small cupboards. 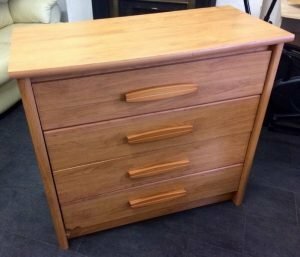 A large solid pine chest of four drawers, together with a matching one drawer bedside unit. 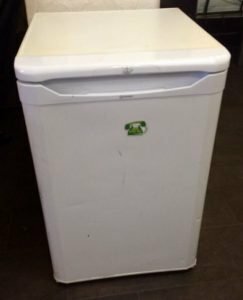 A white Hotpoint small under counter larder fridge. A tall standing solid pine chest of four large drawers. 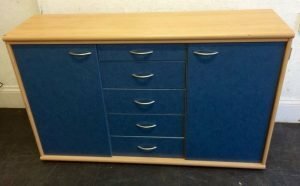 A solid pine navy blue large sideboard, having a large cupboard to either side of five central drawers. 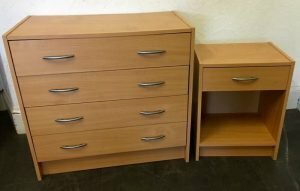 A four piece frosted glass and chrome furniture set, to include a television unit, a pair of side tables and a coffee table. A three piece sofa suite, to include a three seater high back sofa, a two seater sofa and an armchair, upholstered in black faux leather. A two seater high back vintage sofa and matching armchair, upholstered in gold patterned fabric. 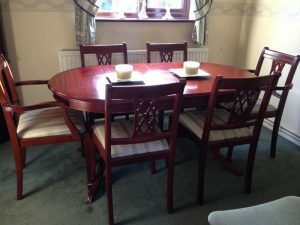 A vintage solid mahogany oval extendable dining table, together with six matching high back dining chairs. 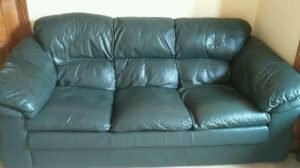 A three seater high back vintage sofa, upholstered in deep green authentic leather. 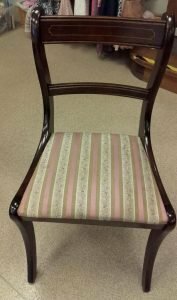 A solid mahogany vintage high back dining chair, upholstered to the seat in floral patterned pink striped fabric. 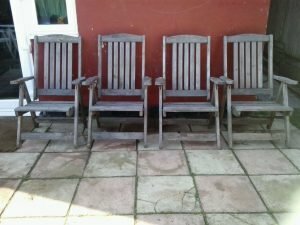 A set of four solid wood fold away garden chairs. 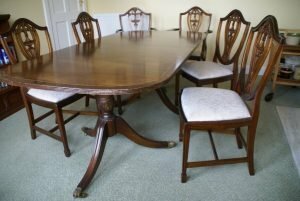 A solid wood vintage large dining table on brass lion paw feet, together with six matching high back dining chairs. 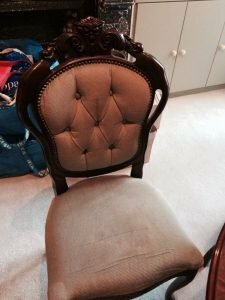 A heavily carved hardwood high back dining chair, upholstered to the seat and backrest in cream fabric. 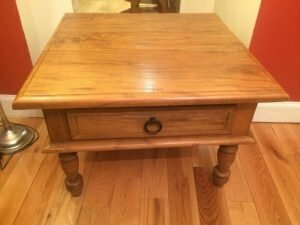 A large solid pine vintage square coffee table, with one drawer to either side. 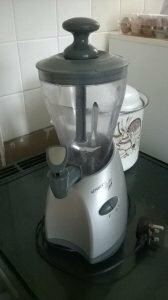 A silver Kenwood 2 litre smoothie machine. 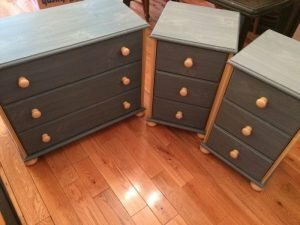 A three piece hand painted solid pine bedroom furniture set, to include a large chest of drawers and a pair of bedside drawers. 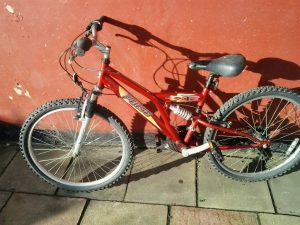 A red framed suspension mens bike.